Why do some schools and districts thrive in a decentralized environment while others simply go through the motions? What factors foster improved quality of education through school-based management? To discover the answers, the authors spent four years studying 40 schools in the USA, Canada and Australia. All the schools had been engaged in site based management (SBM) for at least three years. The findings shared in this book will be applicable to other schools embarking on shared decision-making. 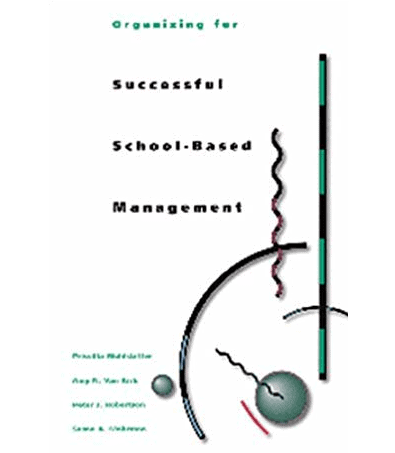 School based management is a time-consuming and complicated process that places high demands on all involved. Creating site councils is only the first step. Schools must be focused on continuous improvement or they can bog down in process and power struggles, without ever impacting on student performance. This volume identifies the conditions that must be present to implement reforms that improve teaching and learning. The book is organized around eight critical factors related to SBM. A chapter is devoted to each component: power, knowledge and skills, information, rewards, instructional focus, leadership, the learning organization and resources. Each is presented in a practical context through case studies contrasting successful and struggling SBM schools. As the differences between the schools are explored, the key findings stand out in bold face. The treatment of issues around leadership illustrates this approach. The authors contrast the role of the principal in two schools. In one, the principal was unwilling to share power for fear of loss of control. His micro-management style undermined staff motivation and suffocated the reform process. Decision-making was focused on trivial issues. In the absence of a big vision, turf battles between the different stakeholders to preserve their narrow interests were common. In the more successful school, the principal facilitated change through others. As manager, the principal paid primary attention to the appropriate design of school structure to generate active involvement in decision-making. All constituent groups were given access to the information required to make sound decisions. Professional development activities were designed to build the knowledge and skills required to implement the changes. Broad-based leadership was developed through creating formal positions such as committee chairs and ‘lead experts’ in specific areas. Teachers became the instructional leaders while the principal remained focused on the school as a system. There was deliberate outreach to the community to leverage additional input, resources and support. In this way the collective responsibility for the success of the reform effort emerged and people felt empowered to design and implement the new practices needed to achieve the school’s vision. School personnel had low comfort levels with issues of outcome based measurement and accountability. The writers emphasize that the measurement issue is critical for schools, because measurement is key to organizational improvement. Measurement and frequent performance feedback are essential elements of SBM if it is to lead to changes that will improve educational outcomes. Since this book was published, better data collection systems have been put in place and the comfort level with performance feedback has risen considerably. Canadian schools now have the opportunity to furnish relevant data on the effectiveness of the SBM approach.